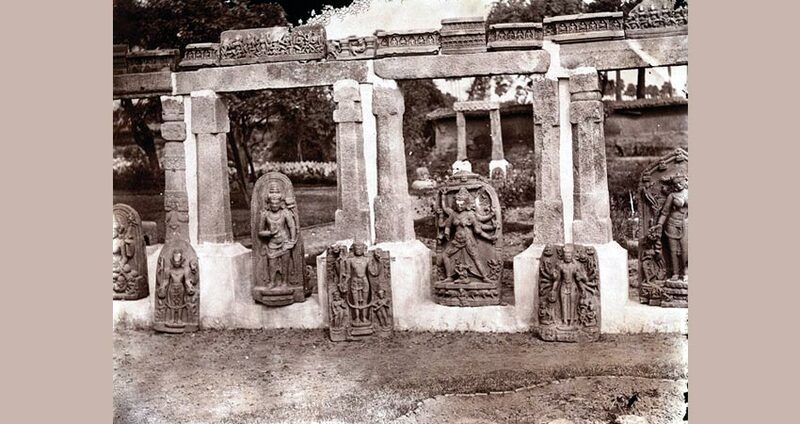 Pictures on the right show ancient statues of Buddhist and Hindu deities removed from villages of Magadha by the British during the colonial period and sent to museums in India and abroad. The pictures were taken by Joseph David Beglar and Sir Benjamin Simpson in 1871-72. The pictures are currently the property of The British Library Board. How was the Live Museum Vandalised? The history of Magadha and the practice of Buddhism both were entirely lost by the time of colonisation of India by the British. 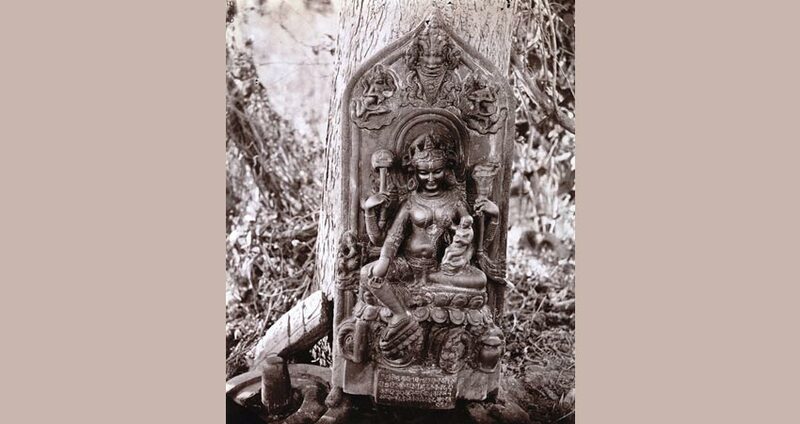 While villagers in Magadha worshipped some of the surviving ancient sculptures as local deities, the British believed these to be of foreign origin. 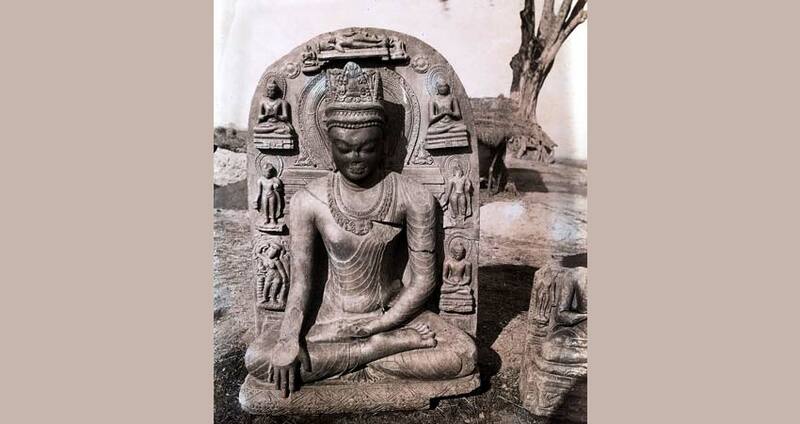 Buddhism a native faith of East Asian countries was known to the British, but Indian roots of Buddhism was not. 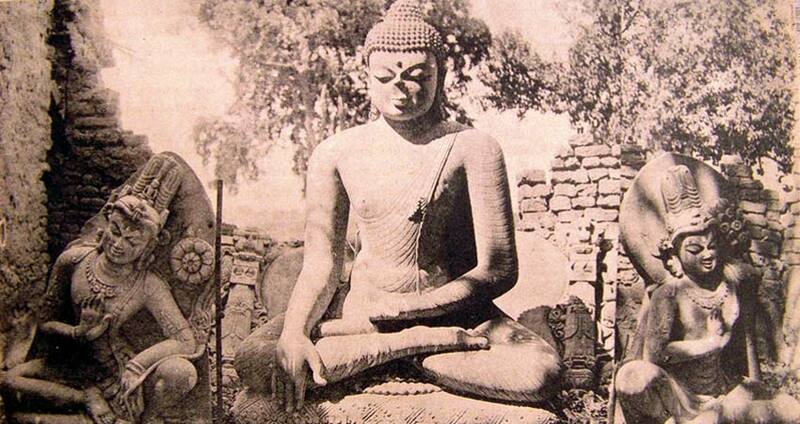 The 18th century thus passed away in complete ignorance about India’s association with Buddhism. In the 19th century occurred a series of breakthroughs which, for the first time, shed light on the Indian origins of Buddhism. The first breakthrough was the translation of the Mahavamsa by George Tournour in 1837. 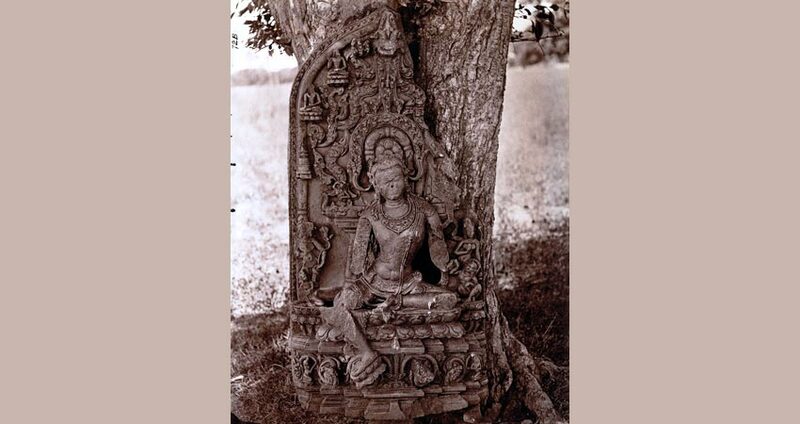 The Mahavamsa was a historical chronology of development of Buddhism in Sri Lanka composed in 6th century in the Pali language. The second breakthrough was the deciphering of the Brahmi script on the Ashokan rock and pillar edicts by James Princep in 1838. 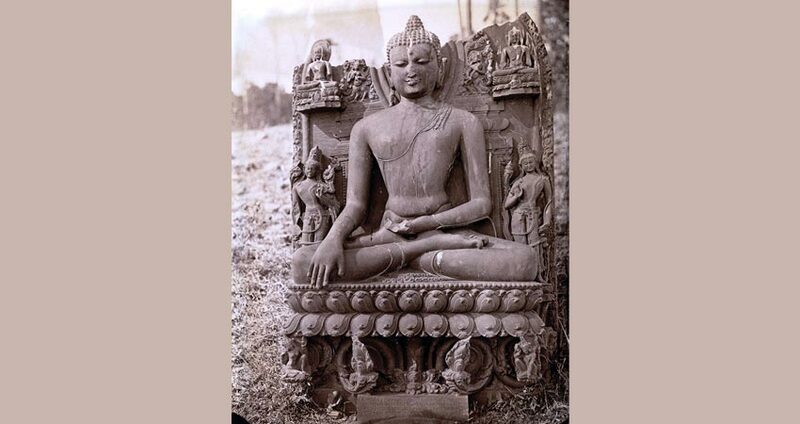 Emperor Ashoka, the third ruler of the Mauryan dynasty who was a great patron and personal follower of the Dhamma, installed numerous stone structures throughout his empire in the Indian subcontinent bearing the message of the Dhamma. The deciphering of the Brahmi script and the translation of the Sri Lankan texts of Buddhism revealed that Buddha attained enlightenment and promulgated the Dhamma in India, and it was from India that the Dhamma spread to East Asian countries. In other words, there was an inextricable association between growth the Dhamma and India. Two further breakthroughs that occurred in the the 19th century were the translation of the travelogue of Faxian (Fâ-hien) by Abel Rémusat, Julius Heinrich Klaproth, C. Landresse in 1838 and of Xuanzang (Hsüan-tsang) by Stanislas Julien in 1857. Faxian, a Chinese monk-scholar, came to India in the 5th century CE as a pilgrim and left behind a rich travel account. Faxian mentioned about a pilgrimage tradition undertaken by monks and lay devotees known as ‘In the Footsteps of the Buddha.’ This pilgrimage consisted of the places associated with the life of the Buddha. Translation of Faxian’s travelogue revealed that region of this pilgrimage, that is to say, the places associated with life of Buddha, were located in northern India. Like Faxian, Xuanzang was also a Chinese monk-scholar. He came to India in the 7th century CE as a pilgrim visiting nearly every place in the Indian subcontinent associated with the life of Buddha. Like Faxian, Xuanzang also left a rich travel account mentioning names of all the places visited, direction and distance of travel, number of days required in travelling, natural landmarks in and around a place, spiritual significance of the place, Buddhist structures found in the place, and rituals and traditions practised in the place. Translation of Xuanzang’s travelogue revealed the exact places associated with the life of the Buddha. Xuanzang’s brilliantly detailed descriptions generated such curiosity among the British that armed with a copy of the travelogue, many of them set about identifying the places associated with the life of Buddha. 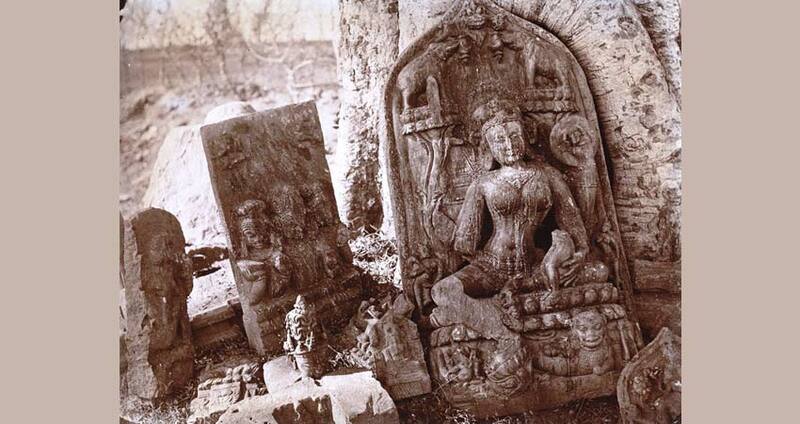 During their expeditions, British explorers discovered ancient sculptures of Buddhist, Hindu and Jain deities in village after village of Bihar. 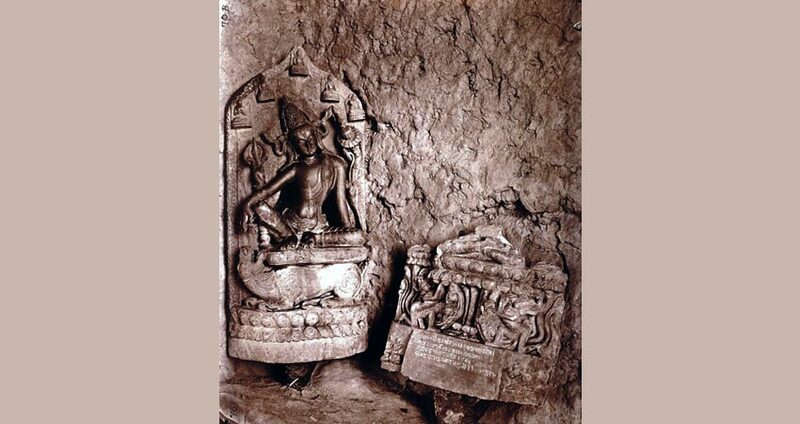 Based on interpretations of the descriptions by Xuanzang and Faxian and material evidences found in the villages, the British identified several of the places associated with life of Buddha. The identification of these places established beyond doubt that Bihar was the region corresponding to ancient Magadha — home of the Buddha, the Dhamma, and the Sangha. It was in Magadha that Buddha attained enlightenment and preached the Dhamma. It was in Magadha that the Dhamma was adopted for the first time by Emperor Ashoka as the official policy of ruling the empire. It was from Magadha that the Dhamma spread to different parts of the world. It was also in Magadha that the greatest and largest monasteries of Buddhist learning existed. In short, Magadha had a glorious Buddhist past, and Magadha and the Dhamma were inextricably linked. 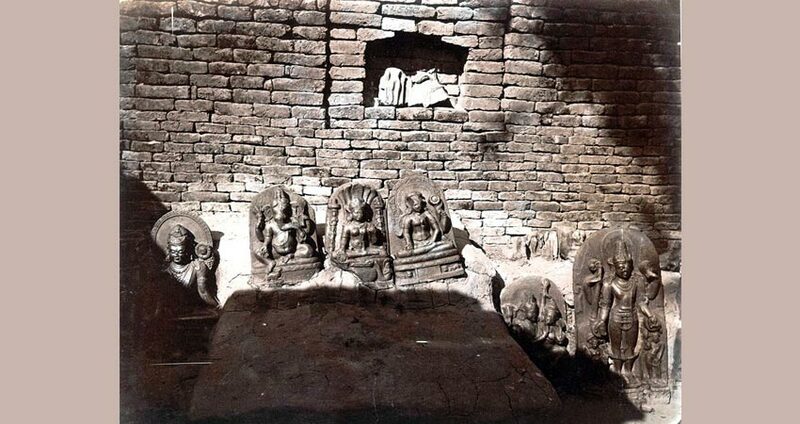 The identification of the sacred Buddhist places in India was, on one hand, a remarkable achievement in rediscovering the Indian roots of Buddhism but, on the other hand, it exposed India’s Buddhist archaeological heritage to the will and fancy of British colonists. The British perceived the heritage as their colonial wealth — available for looting. 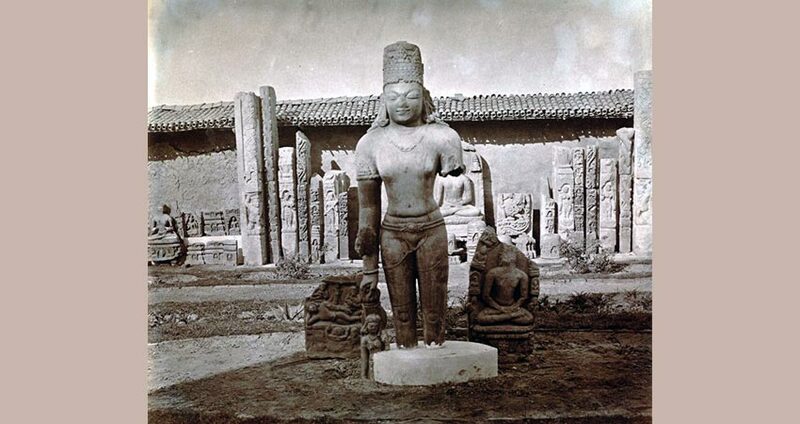 Spurred by this conviction, many British officers and explorers went to villages in Bihar scavenging for ancient sculptures to create or enlarge personal collections or send to museums back in England. 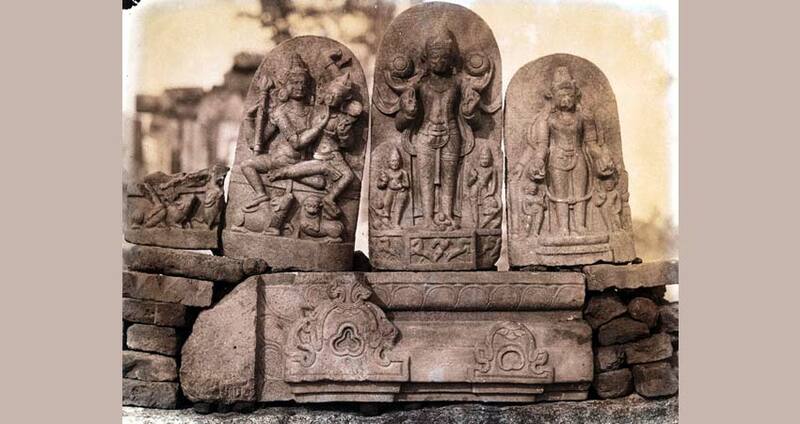 For instance, Markham Kittoe, a British archaeological surveyor of the East India Company, scanned the villages around Gaya in 1846-47 finding an enclosure of about 180 paces full of with sculptures at Kurkihar. He apparently carried away ten cartloads of sculptures from there. Another British, W. Peppe, combed about twenty villages around Gaya acquiring artefacts for auctioning. 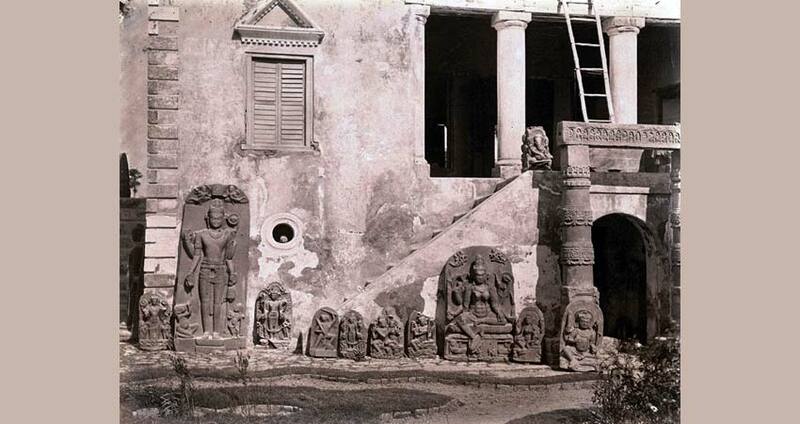 Yet another British officer, A. M. Broadley, the sub-divisional magistrate of Bihar sub-division, excavated the mounds in the villages of Magadha amassing one of the largest personal collections of sculptures in 1871-72. 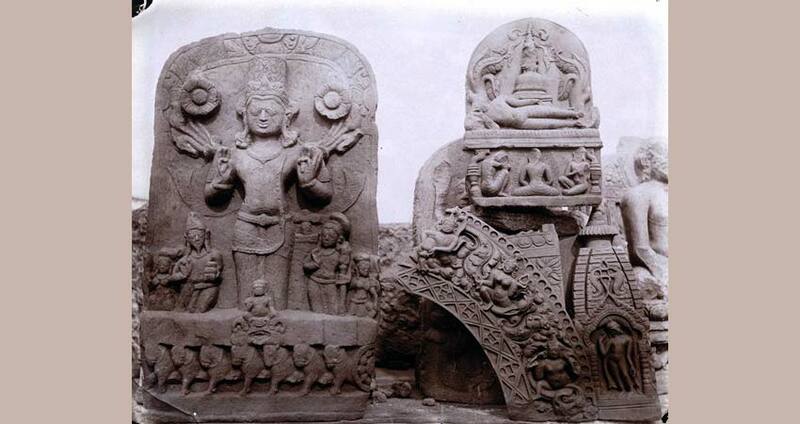 Such acts of cursory digging and vandalism became rampant following the discovery of the Buddhist archaeological heritage of India. Sculptures and artefacts were removed from their original spots and placed in public museums abroad or personal collections of British officers and art collectors. The sculptures that survived the cursory diggings and vandalism started disappearing slowly. Most of them found their way abroad through traffickers. 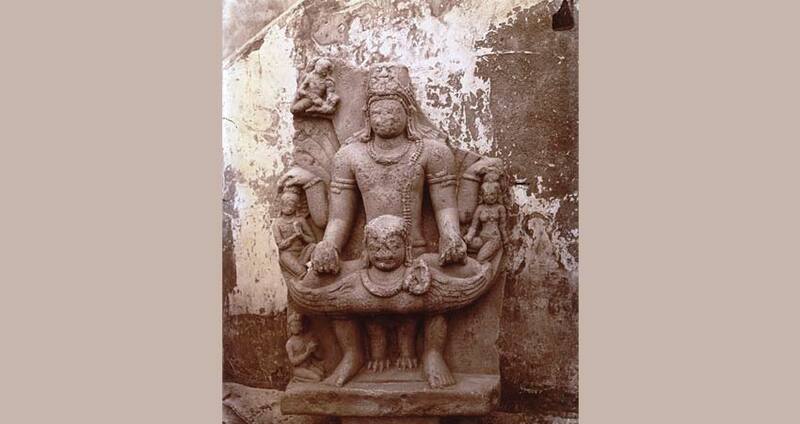 The trafficking of Indian antiquities, which is a million-dollar business today, originated during the colonial times. Cursory diggings and vandalism also destroyed valuable archaeological information. The removal of sculptures without documentation of the spot where they had been found obscured the possibility of examining the history of the sculptures. 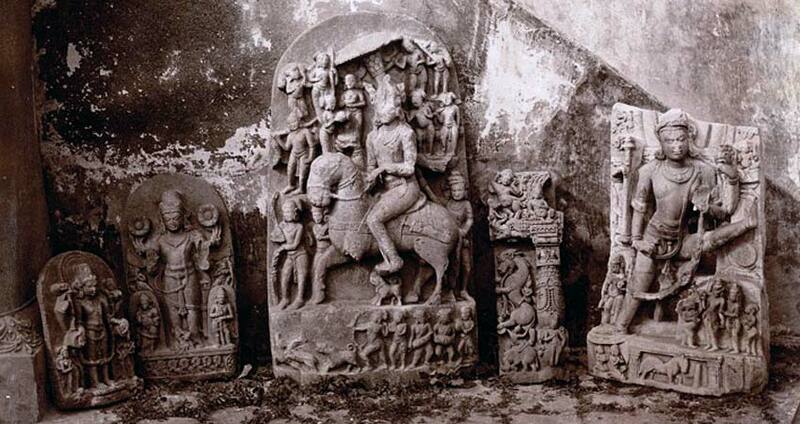 Towards the end of colonial rule, the British made some effort at protecting the heritage sites, but even then sculptures kept disappearing because those responsible for protecting the sites lacked expertise, funding and cooperation.